One of the myths about divorce is that it’s all about resolving conflict. In reality, the “issues” to be resolved are not that difficult. The planning is much more crucial. Yet, because of the myths about divorce conflict, many couples spend tens of thousands of dollars on conflict resolution and almost nothing on planning. Most competent divorce lawyers, or a competent neutral, could predict how the divorce issues are going to end up with relatively little time and expense. Yet, the emotions surrounding divorce, particularly the fear and anger, can cause couples to spend a small fortune attempting to get the answer that they want. In general, the “answer” comes in term such as a parenting plan description, a property division, and an amount of child support and spousal maintenance. There is no evidence to support the idea that people who hire aggressive lawyers get better outcomes in any of these areas. This is especially true since hiring an aggressive lawyer generally causes the other spouse to get an aggressive lawyer. After thousands of dollars are spent on aggressive tactics, both clients are left dividing a smaller “pie” with little real value to ether party. In short, the overuse of lawyers rarely results in economic gain and, more importantly, often leads to significant loss of intangible interests, such as damage to the co-parenting relationship. Increasingly, couples who are wary of the harm that can be caused by the overuse of lawyers are attempting to complete their divorce without attorneys. This nationwide increase in “pro-se divorce” or “self-represented divorce” has had mixed results. While some couples have found ways to obtain sustainable long-term solutions, particularly when the issues are less complex, other families have found that the lack of assistance has led to unsatisfactory outcomes and ongoing disputes that can damage the family. The alternatives? The best of both worlds: the lawyer as consultant. Thankfully, there are alternatives emerging that allow divorcing couples to get the help and guidance they need without having costs spin out of control. Rather than hiring lawyers for “full representation” (i.e. a full bundle of services) couples can have attorneys advise them on specific tasks. This is sometimes called “unbundled legal service” because the clients can control the type of work that the lawyer is doing. Collaborative Law, the most popular version of unbundled service, involves hiring lawyers for settlement purposes only. A new alternative is to hire an attorney as a Divorce Advisor to assist you in focusing on planning so that both parents can have the most success in their next stage of their lives. Rather than having clients focus on different legal positions, a divorce advisor will help the family identify their big-picture interests and common goals. Clients will also be directed to finding efficient ways to resolve their issues so that their primary resources can be reserved toward improving their future lives. 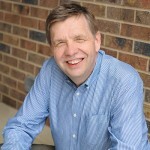 Ron Ousky has worked in family law since his graduation from the University of Minnesota Law School in 1982. Since that time, Ron has become recognized as an international leader in developing innovative ways to help family law clients. He is a recent president of the International Academy of Collaborative Professionals and a cofounder of the Collaborative Alliance Executive Suites. He has been interviewed and quoted in numerous newspaper, radio, and television stories on Collaborative Law, including a feature on the CBS Evening news. Ron has handled thousands of family law cases, including hundreds of cases in each of the following areas: traditional negotiation; mediation; Collaborative Law and litigation. Unbundled Divorce: Getting just the right amount of legal help. Our vision is to become the best resource anywhere at helping individuals and families navigate the uncertainty of divorce and to find the path to a better future.